For a woman trying to get pregnant, there are a number of ways to help increase the chances and make it more likely that she’ll conceive a child. Sure, movies like ‘Knocked Up’ and ‘Juno’ make getting pregnant look like NBD, but the truth is that it can be a little tricky. But with these 10 pieces of advice, you should be well on your way to conceiving that child you’re wanting so dearly. It’s a good idea to call your OB/GYN, midwife or family GP for a preconception check-up to make sure everything’s working in order. They’ll no doubt review your personal and family medical history, your present health and any medications or supplements you’re taking. Revealing any medications or supplements you’re taking is important as some are unsafe during pregnancy, and therefore may need to be switched as you try to conceive. You should also discuss things like your diet, weight, exercise, and any other unhealthy habits you have (like smoking and drinking), ask for multivitamin recommendations and make sure you’re up to date on your immunisations. Taking a folic acid supplement is SO important when trying to conceive. By taking 400 micrograms (mcg) of folic acid a day for at least a month before conceiving and during your first trimester, the chances of having a baby with neural-tube defects like spina bifida cuts by 50% - 70%, as well as other birth defects. You can buy these supplements quite easily at your local pharmacy, or you can take a prenatal or regular multivitamin. It’s also important to make sure that any supplements or multivitamins you’re taking do not exceed the recommended daily allowance of 770 mcg of vitamin A, unless most if it’s a form called beta-carotene. Too much of a different kind of vitamin A may cause birth defects in your baby. This goes without saying, if you smoke or drink a lot, now’s the time to stop. Doing either during pregnancy can lead to miscarriage, premature birth and low-birth-weight babies, studies have shown. Tobacco can affect your fertility and lower your partner’s sperm count, and studies have even demonstrated how second-hand smoking can reduce your ability to get pregnant. You’ll want to avoid excessive or binge drinking while trying to conceive, and once pregnant, you should stop drinking all-together, as alcohol consumption can have harmful effects on a developing baby. While you might not be eating for two yet, it’s crucial that you start making nutritious food choices so your body is stocked with the nutrients it needs for a healthy pregnancy. Try to get at least 2 cups of fruit and 2.5 cups of vegetables every day, as well as plenty of whole grains and foods that are high in calcium – like milk and yoghurt. You’ll need to consume a variety of protein sources, too, like beans, nuts, seeds, poultry and meats. While there’s no general rule on exactly how much caffeine is safe during pregnancy, it’s safe to avoid consuming large amounts for any woman attempting to conceive. You may find it easier to conceive if you’re at a healthy weight. Having a low or high body mass index (BMI) can make it more difficult for some women to fall pregnant. Don’t forget about your oral health! Hormonal shifts during pregnancy can make you more susceptible to gum disease, and thus regular visits to the dentist before, during and after your pregnancy are important. You see, higher progesterone and estrogen levels can cause your gums to react differently to bacteria in plaque, resulting in swollen, red, tender gums that can bleed during brushing or flossing. While you’ve no doubt thought about the long-term financial costs of having a child and providing for them, it’s very important that you don’t forget to focus on the initial costs you’ll need to foot. Especially when it comes to the cost of pregnancy and delivery… You’ll need to contact your insurance provider to double check what is and isn’t covered, so you know exactly where you stand in terms of payments and financial obligations throughout your pregnancy and post-birth. Some simply stop taking birth control, and let fate decide when they’ll conceive. While others take a more planned approach by charting their periods and tracking symptoms to try pinpoint the days during which they’re most fertile. Use an ovulation calculator to help you find a rough estimate of when you’re most fertile, if you wish to. Otherwise, if you want to be more accurate, start monitoring your basal body temperature and the changes in your cervical mucus. Of course, this goes without saying. And while lots simply ditch the condoms or their diaphragms, coming off hormonal contraception can require a bit more planning and patience. To reverse the effects of hormonal contraception, you simply need to stop taking it or have them removed. You don’t even have to wait until the end of your monthly cycle to stop. 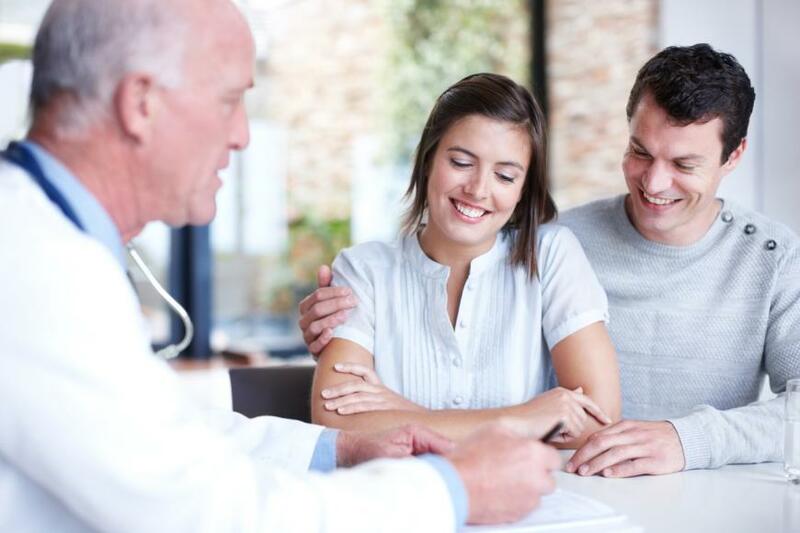 As these types of contraception and their effects varies from woman to woman, it may take fertility to return as soon as possible, or after a month or so.